I want more doll boots (because tiny shoes are my favourite things), I’d also love for Takara to produce another set of boots/shoes! It’s been almost 5 years since the Shoe Cruise Day & Night sets were released (December 2010, according to Blythopia.com). I want official Middie outfit sets or shoes releases! 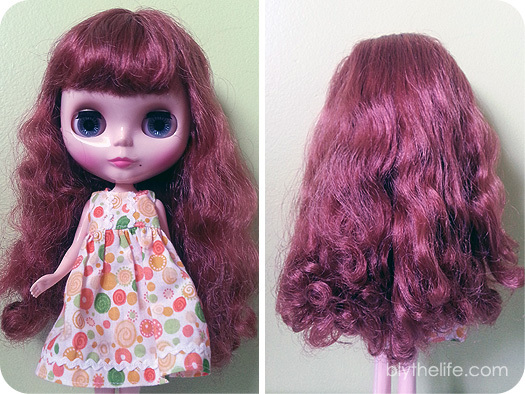 It’s also been a long time since the last official Blythe outfit set (2009). I want to add a couple more dolls to my family – but being responsible is kind of making that unlikely right now! If I did have the funds, I’d love to add a BL (my first!) and another Kenner to the doll family. I want to craft more! 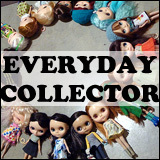 When I was down about not having a job, I didn’t really spend a lot of money on my dolls because of the fact that there’s such a buy-buy-buy mentality that I can get into at times. This is one of the reasons why I tend to buy in bursts – a lot of purchases in a very short period of time, and then I sit there wondering about where my money all went! I’ve definitely tightened the proverbial belt when it comes to unnecessary spending, which makes me want to do more – which includes using supplies (that I already own!) to create things. Some of these wants (mostly the curly hair, adding new dolls to my family at this moment in time) are a bit more of a pipe dream than other wants right now, but I do think some of them are achievable. Including the aspect of crafting more, and perhaps sending an email to the people who make the decisions about new doll and accessory designs that there are people who want more shoe sets in hopes of getting it done. 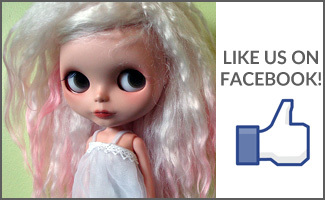 What are some things that you want more of when it comes to Blythe? Share in the comments below! 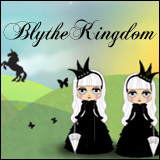 I want a Blythe that I can customise just like the new line of Pullip dolls that are practically a white canvas. When you customise a doll, what you basically need is the body and a head, and then the sky is the limit. That’s precisely what Groove Inc. is selling right now and the ready-to-customise-dolls cost a fraction of a stock doll. I would like to see that for Blythe too. That would be pretty neat if they did that for Blythe! I think a lot of people would like that, or if they sold mix-and-match scalps that came with the dome piece so all you had to do was select one and assemble! Oh, that would be great! I’m sure a lot of people would rather buy these, than factory (fakes). If you are keeping only the doll’s head and scalp (like me), It’s too expensive to buy an original Takara girl … And tanned girls would be awesome, too! Also, more official Blythe glasses of various shapes! We definitely need them! Great post! I especially echo the shoe sentiments!! I heartily agree on the shoes as well! I am always feeling the need for more Blythe shoes – it would be amazing if Takara would make a set of Middie shoes!